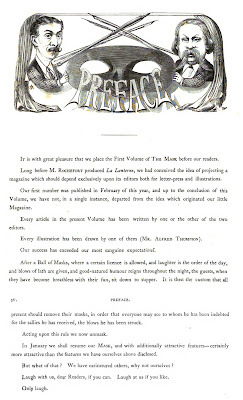 The Mask, a Humorous and Fantastic Review of the Month, was a 6d London comic periodical with color covers, written by Leon Lewis and illustrated by Alfred Thompson and others. 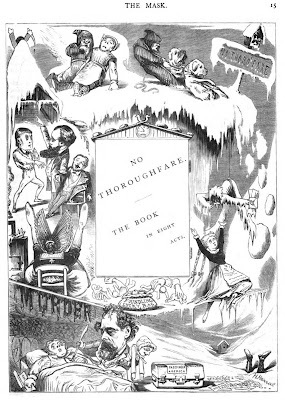 It seems to have only run through one volume, from February to December 1868. 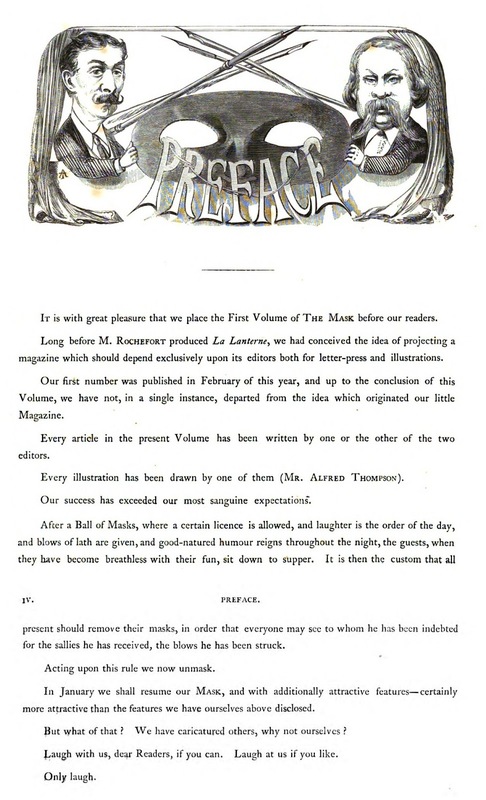 With a revived title in 1879 – as The Mask, a Satirical Review of the Week in Caricature, price 3d, color covers – a second (weekly) attempt ran from May 10 to August 2, 1879. Thompson was in charge although it is unclear if Leon Lewis was involved the second time around. 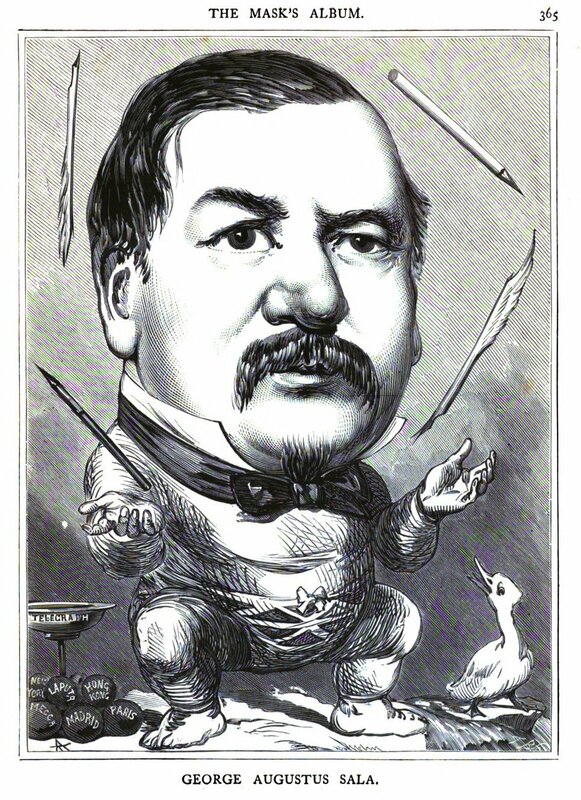 I have written about Leon Lewis, an American expatriate with a shady background, HERE. An earlier Lewis portrait, using the name F. Clinton Barrington, is HERE. 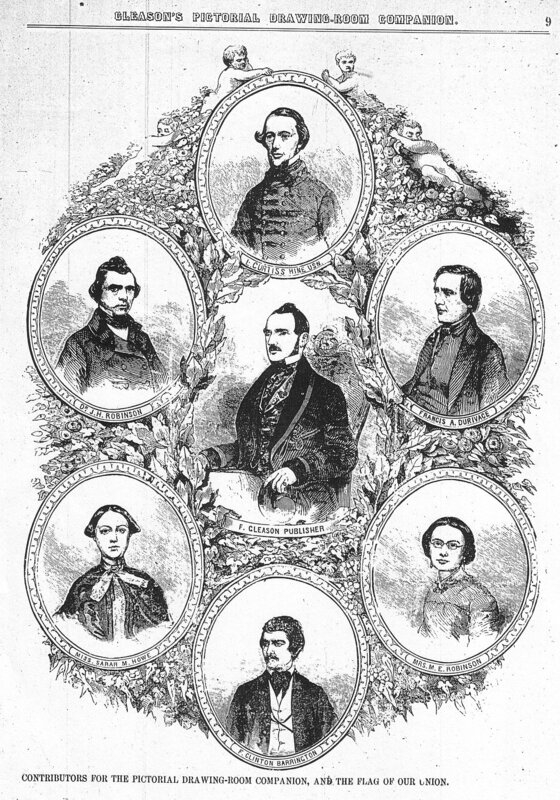 Thompson was a contributor to Belgravia, London Society and Bow Bells. 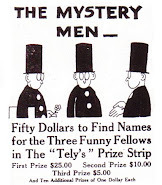 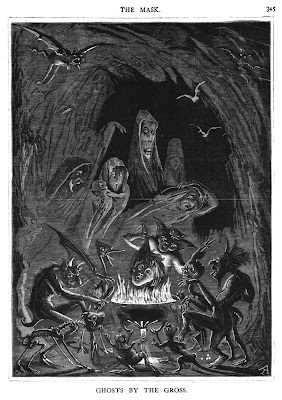 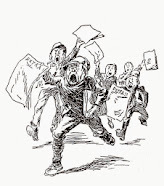 He also drew and possibly wrote for a variety of boys weekly periodicals from the sixties through nineties. 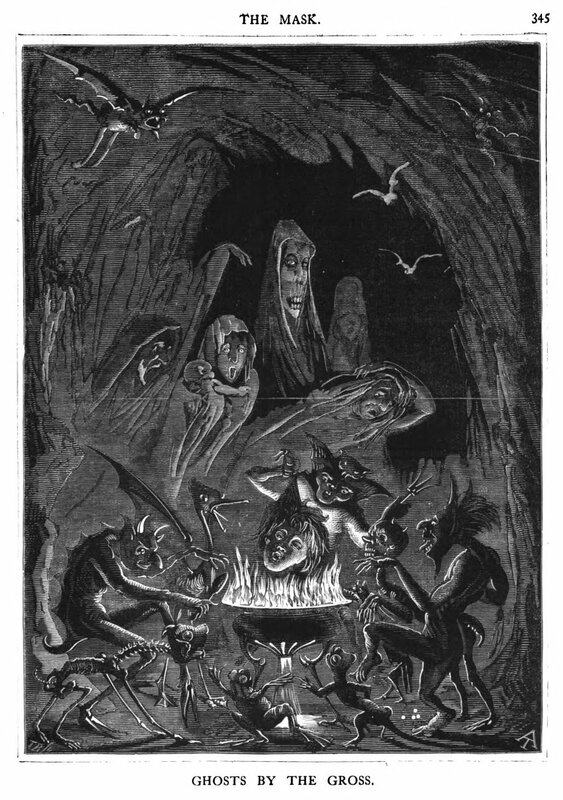 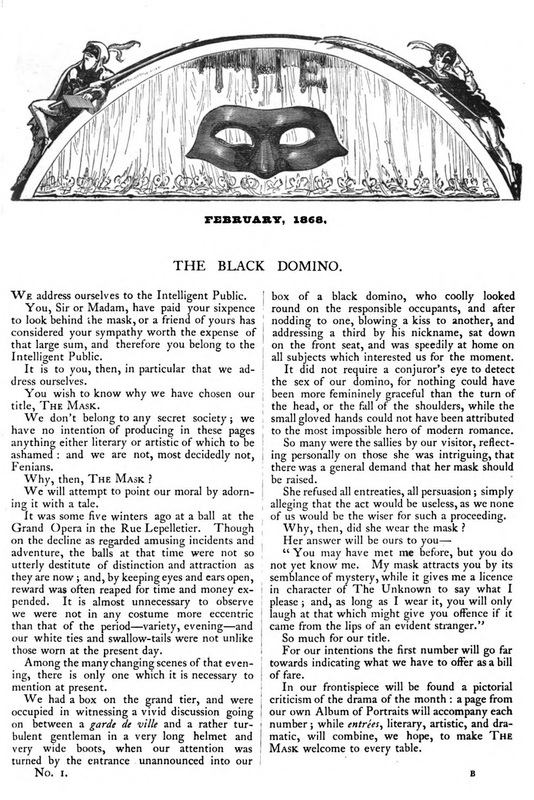 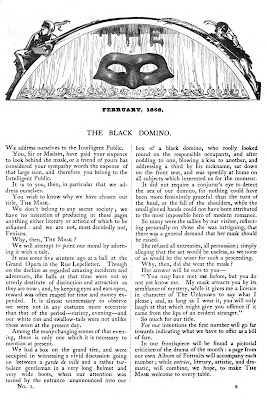 The Black Domino, February 1868. 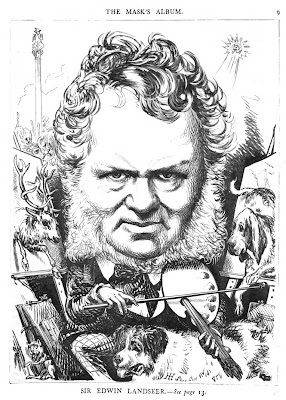 The Mask’s Album; Sir Edwin Landseer. No Thoroughfare; The Book in Eight Acts. 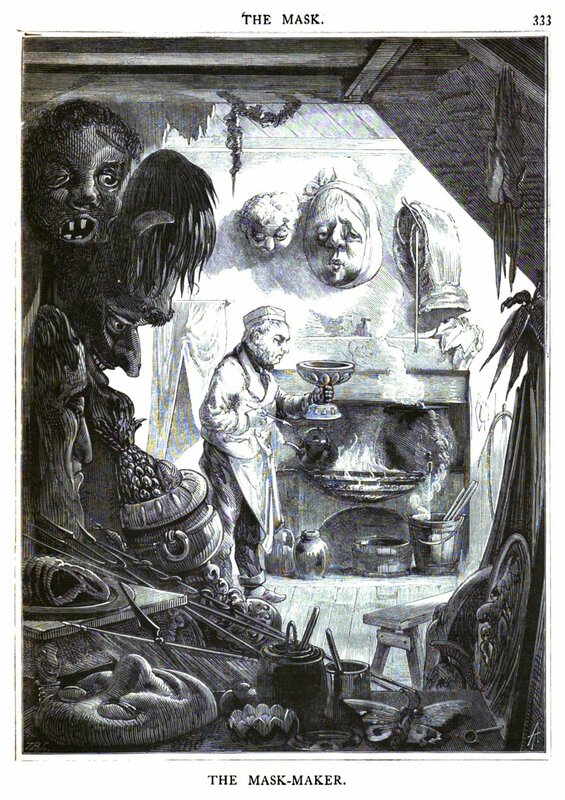 Parody of Charles Dickens and Wilkie Collins. 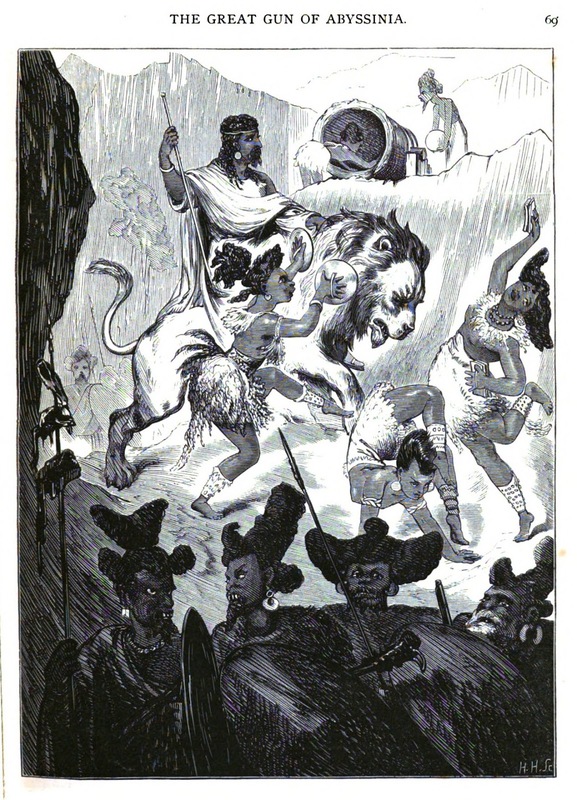 The Great Gun of Abyssinia.